“Obviously, if everyone is solvent, nobody cares about trusts, secured interests or priorities. In a few short words earlier this summer, a majority of the Alberta Court of Appeal defined a legal issue that divided that appellate court. In the result, a statutory construction trust did matter — to the tune of about $1 million. The case should matter to construction lawyers across Canada, too. The court divided 2:1 on whether the Builder’s Lien Act trust was in operational conflict with the federal Bankruptcy and Insolvency Act. This is an appellate case of some significance. On the one hand, there are federal bankruptcy and insolvency provisions, constitutionally competent legislation, under s. 91 (21) of the Constitution Act, 1867. On the other hand, provincially defined property and civil rights are provided for under s. 92(13) of that same Constitution Act. Ontario, where I am based, has had its share of this provincial/federal debate in the construction law context and these issues may play themselves out again when construction industry heavyweights decide to duke it out. In Ontario, the decision of Royal Bank of Canada v. Atlas Block Co. Ltd. a year ago left some feelings of unfairness in the construction industry. The Atlas decision has been perceived by some as allowing secured creditors to “scoop” trust funds. In Atlas, what defeated the provincial deemed construction trust was the receiver’s receipt of the funds which resulted in their being commingled — a “no-no” when trying to establish a trust which requires certainty of subject matter. One could hardly blame the receiver in Atlas whose BIA mandate was to seek out and receive any funds owed to the estate (regardless of who was claiming against them). A year later, the Iona case followed in Alberta and is from a higher court. Yet the Ontario Superior Court decision in Atlas can readily be distinguished. First, the provincial legislative language is somewhat different in Alberta and Ontario. Second, in Atlas the funds were commingled, albeit by the receiver, not by Atlas Block. The funds were clearly held separate in Iona. In Iona, certainty of subject matter could readily be ascertained. The Iona case also involved a distinguishable gloss as the improved property was federal (no provincial liens attached), and because the claimant GCNA was a subrogee surety. 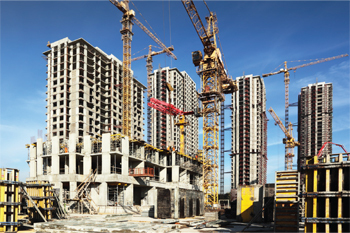 The parties both conceded that the trust provisions of the Builders Lien Act were engaged. Nonetheless, the interesting issues remain. Trusts require three certainties: intention, object, and trust property. A statutory trust manifests a clear intention. And usually the intended beneficiary is clear. In most situations, only the third certainty will be in play. Whether any provincial scheme is in operational conflict with the federal bankruptcy regime must be determined by examining the purposes and effect of the given provincial legislation within its statutory context. It seems hard to take issue with this approach of the Iona majority. The minority in Iona, citing the Supreme Court majority in British Columbia v. Henfrey Samson Belair Ltd., said that there is no trust where “money has been converted to other property” (no certainty of subject matter). However, whatever a trustee in bankruptcy is doing when collecting construction trusts, that trustee is arguably neither “converting” money, nor converting money to “other property.” Perhaps there is a way out. With other cases winding their way upwards, and a dissent at the Alberta Court of Appeal in Iona, the Supreme Court may well take up someone’s invitation to wade into this interesting federal/provincial issue in the construction context unless or until provincial lien act or federal insolvency reform make the issue moot.